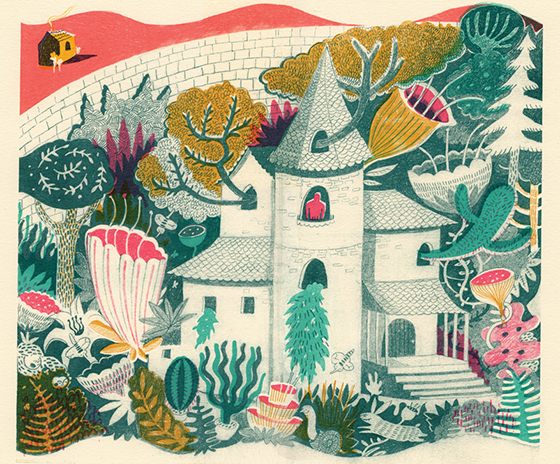 Melissa Castrillón is a freelance illustrator currently based in Cambridge, England. She grew up In a small town called Hitchin and moved to Cambridge ten years ago, where she earned a First class Honors Degree in Illustration and then in 2014 she gained Masters degree in Children’s book Illustration at the Cambridge school of art. Her first picture book ‘If i had a little dream’ will be published with Simon & Schuster US, in Spring 2017 and her second picture book will be with Italian publisher, Topipittori and will also be published in spring 2017. For more info on her work, process and inspirations, scroll down to view the interview from Oh comely magazine’s Sept 2012 issue and for more perusing don’t hesitate to visit her BLOG and her SHOP were she sells her screen prints & ceramics.